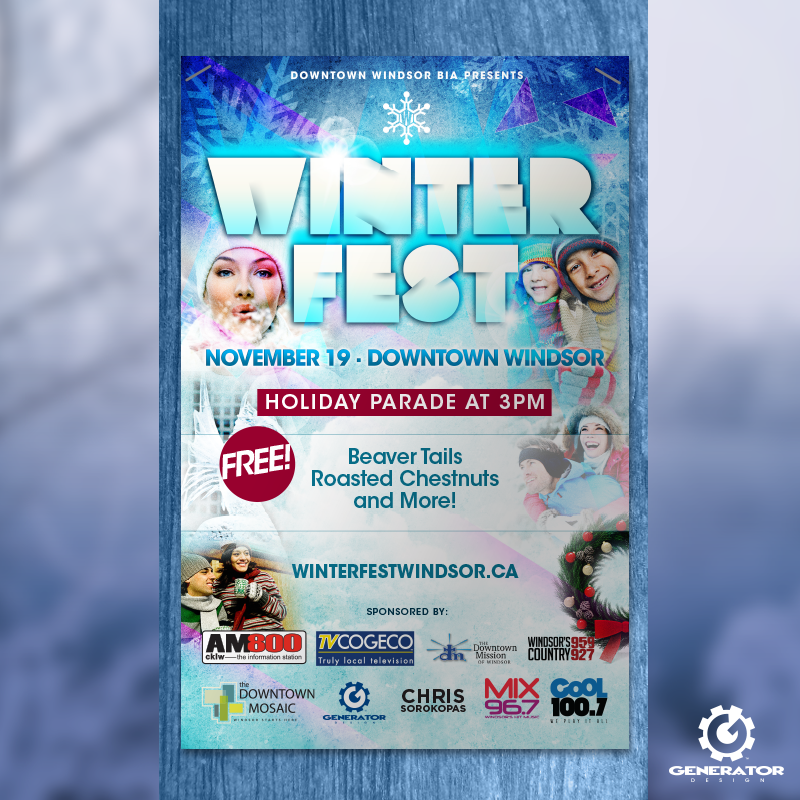 In 2012 the Downtown Windsor Business Improvement Association approached us to launch Winter Fest, an annual parade held in downtown Windsor. Continuing the branding for the event in 2016, we designed a sponsorship booklet, a postcard, a poster, and an ad for TV Cogeco. 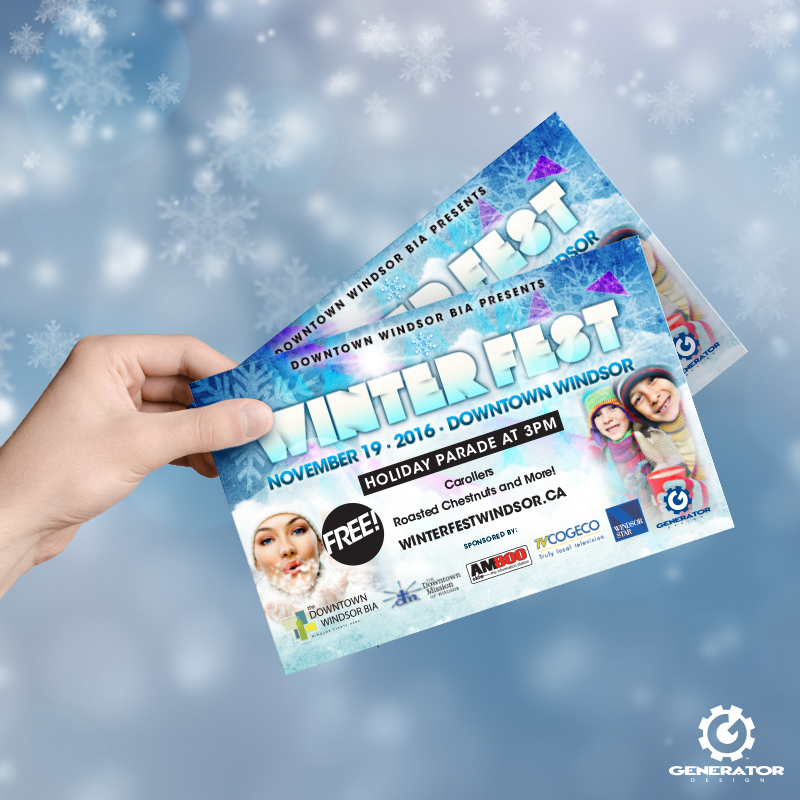 We focused imagery around winter, using snowflakes overlaid with geometric shapes to hint at ice, supported by a refreshing cool colour palette. 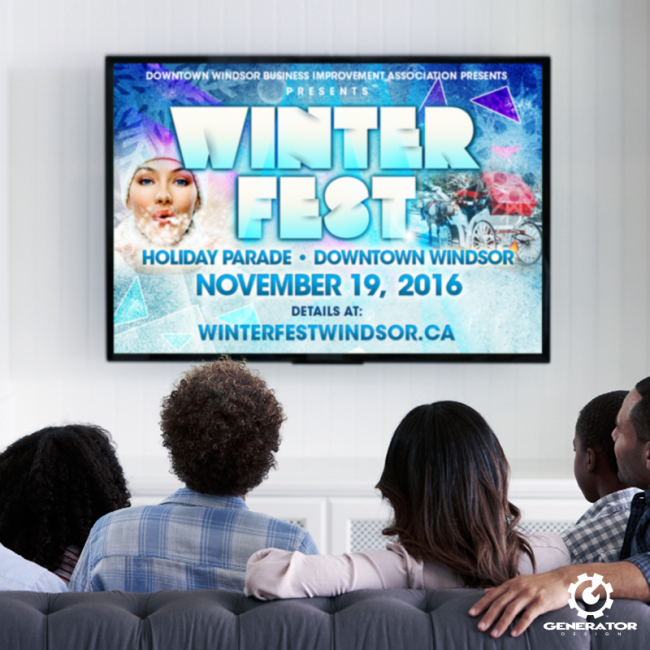 Supporting photos include lifestyle shots indicating winter fun for the whole family with traditional holiday icons. 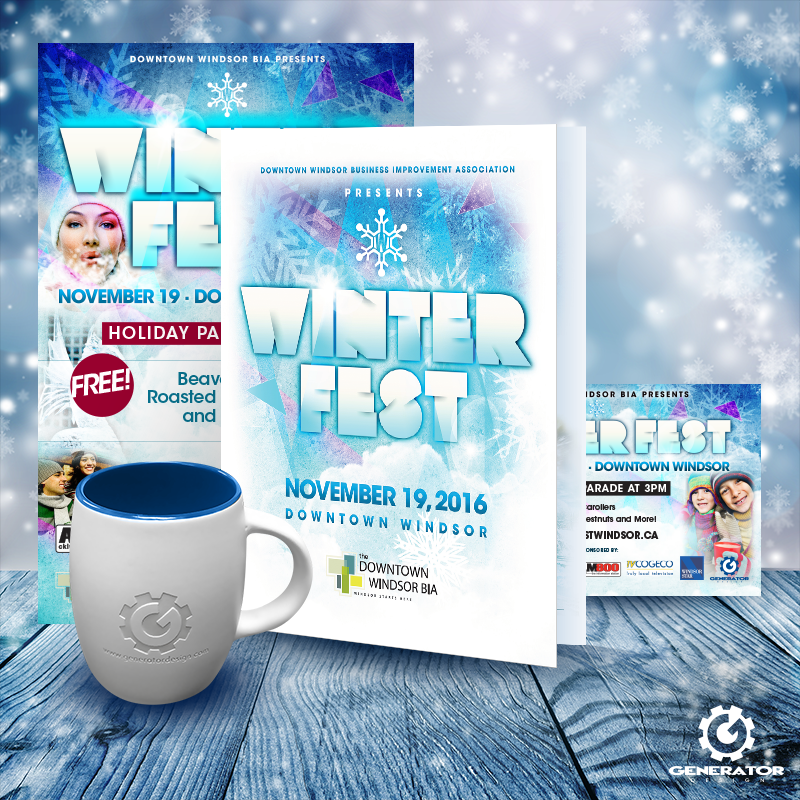 We’re proud to have designed the creative for Winter Fest since its inception. If you haven’t experienced Windsor’s Winter Fest, we highly recommend you check it out!